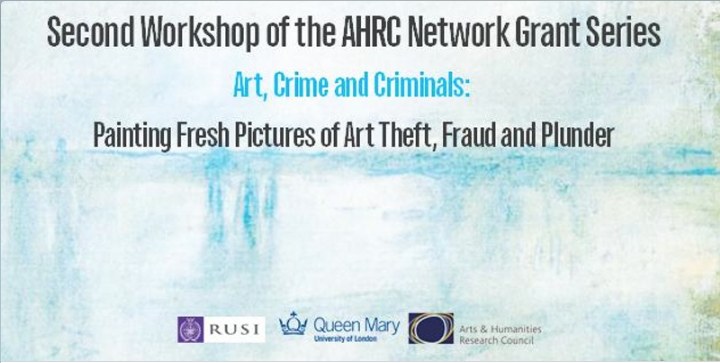 Following the success of the first workshop, this second workshop aims specifically at discussions in the area of art fraud and forgeries. All workshops will be structured around a number of presentations by prominent actors in the field, but the main parts are discussions around the topic between all participants. The aim of the workshop series is to encourage interdisciplinary research, cross-jurisdictional sharing of knowledge and exchange of ideas between academics, practitioners and policy makers. 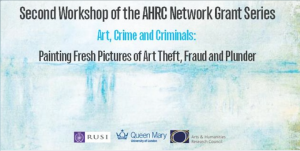 Practitioners will be invited from various backgrounds, such as, police, customs, museums, galleries, auction houses, dealerships, insurance companies, art authenticators, forensic scientists, private security companies etc.